We've created our special French Bague-ette wedding packs for you to choose from. We can also mix and match to create a bespoke wedding service just for you! Total A-Z planing! 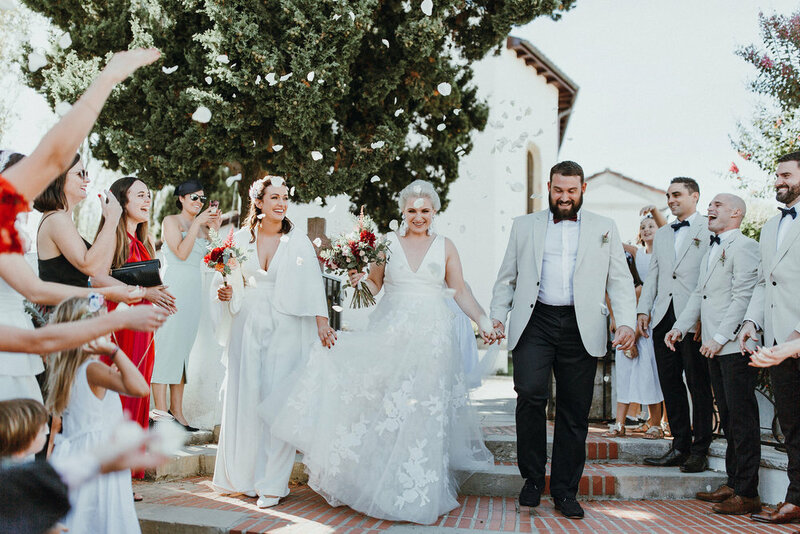 This wedding planning pack includes venue search and visits. Wedding designing, mood boards and presentations. Sourcing, booking and liaising with suppliers. Styling, prop sourcing or making. Set up & take down, budget planning, on the day coordination, welcome events and day 2 events… Basically We're giving you the galaxy! After initial talks you can be involved in this process as much or as little as you like. Take the stress out of wedding planning by having us do it all for you! To sprinkle the magic on your wedding day! This is a wedding design, styling and coordination pack. Together we come up with a concept for your wedding day that oozes with style and your own personalities. 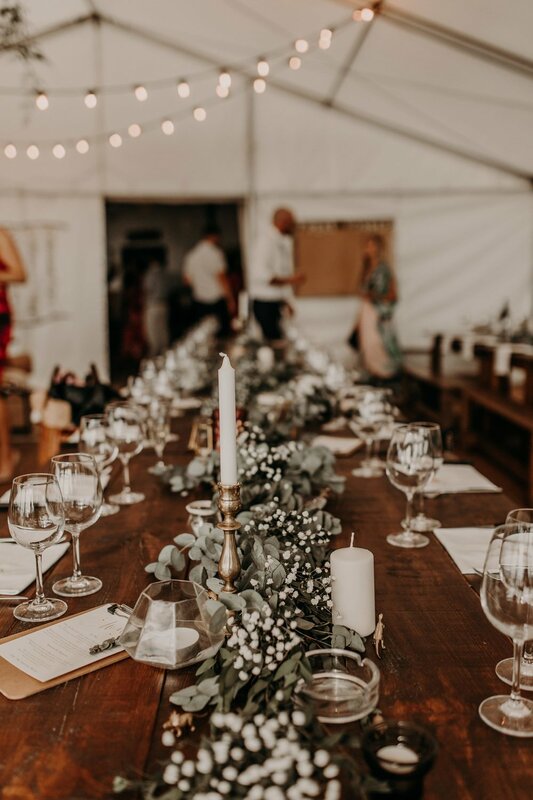 We'll provide mood boards, book the necessary suppliers, design and source props, and generally make your wedding look coherent, original, and stylish! This pack includes set up and take down, on the day presence and coordination to make sure everything looks fab and runs smoothly! After a good chat and briefing from you, we put together a bespoke wedding design concept covering all aspects of your wedding. You’ll receive a beautifully presented document to show to all your suppliers clearly outlining your vision for the wedding day. It will make the planning process easy peasy! Think of it as a preview of your own wedding, all wrapped up in a comprehensive pdf presentation with all our love! We also offer on the day wedding co-ordination services from €600 and are available for editorial and styled shoots. If you have any questions please don't hesitate to get in touch, we always love to hear from you! "Our experience with French Bague-ette went well beyond just planning the wedding. Hiring Lou as our planner was the single best decision we made when we started the process. 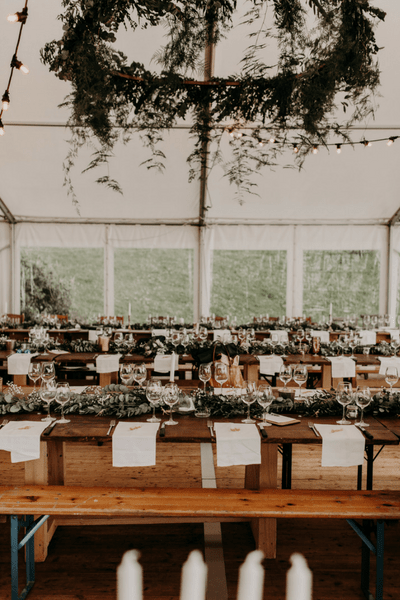 It was important to us to have the wedding of our dreams whilst sticking to our budget, and Lou not only helped us achieve this, but delivered the wedding beyond our dreams and also slightly under budget! We are beyond thankful not only for Lou’s understanding of our vision, creativity, resourcefulness, but also her genuine passion, kindness, calm nature and dedication to us over the year we worked with her. We completely forgot that she was not only planning other weddings besides ours, but also her own! She made us feel like the only couple she was working with and the ability to do that is exceptional. I had full trust in Lou during the entire process. 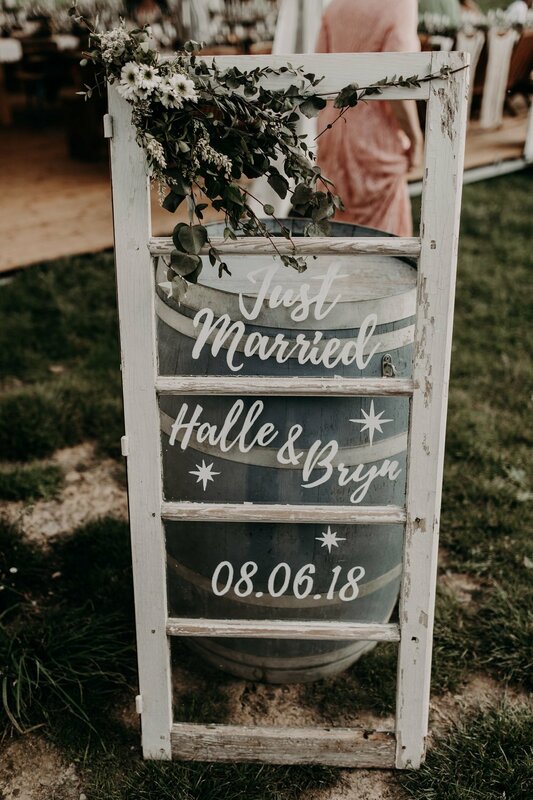 She negotiated with vendors and shopped around when she felt she could get a better proposition, and went above and beyond when it came to the small details (she did all of our signage and the beautiful moongate we had as our altar). She didn’t bat an eye at some of my more bizarre ideas (gold dinosaurs on the tables, anyone?) and instead embraced them and provided even more creativity of her own to truly make it a wedding to truly reflect us as a couple. I felt I was a fairly chilled bride, but the couple weeks leading up to the wedding even the most relaxed of us will get caught up in the madness of finalising all the details. Lou completely took this edge off and kept reminding me that we had planned everything thoroughly, and if she wasn’t stressed, I shouldn’t be either. She was completely right! Whether anything was going wrong beneath the surface, I never would have known as she has such a calm demeanor she kept me completely at ease. Just what any bride could dream of! On the day itself, she was present in the background to ensure everything ran completely seamlessly. I could have never executed the day without her. If you are on the fence hiring someone to help plan your wedding, my #1 piece of advice is to DO IT. It is the best investment we made, kept us on (edit: under!) 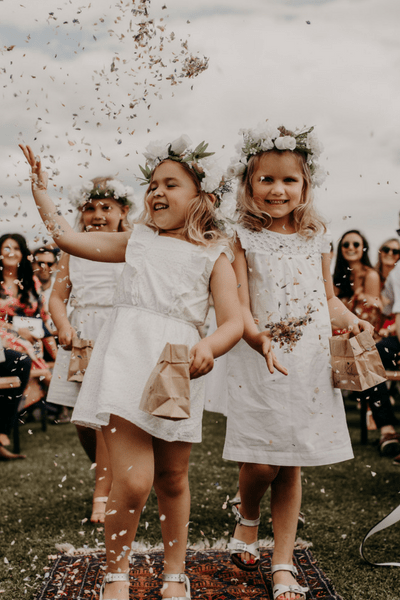 budget and took away all the stress that goes with planning a wedding. We cannot thank you enough for delivering a wedding beyond what we could have imagined." “My wife and I always knew we wanted a destination wedding in South West France. We love everything about the area from the wine and the food, to the surf and the beautiful Basque culture and buildings. With us both being full-time event professionals, but living overseas, we probably weren't the easiest of clients (sorry Lou)! However, Louise took the time to really understand our vision for the day (mostly via late night Skype sessions) and had the perfect portfolio of contacts and suppliers to help us piece together everything we wanted. “We had researched a couple of wedding planners in France, and we felt none of them really got our vibe. It was all very traditional and really cookie-cutter; we felt like we were going to be part of a manufacturing line of weddings. After trawling through instagram late one night, I came across French Bague-ette and from the second I met Louise we just clicked. Not only was she incredibly cool and friendly, she had such an awesome vision for what our wedding could be - one of a kind. Over the year and a half of planning we had a million whats apps, skype calls, wine fuelled dinners and fun chateau recce's. At one point we decided to moved the whole wedding out three months and Louise didn't bat an eyelash! Nothing was a stress for her, especially when we felt a million miles away (literally) from all the suppliers and vendors. 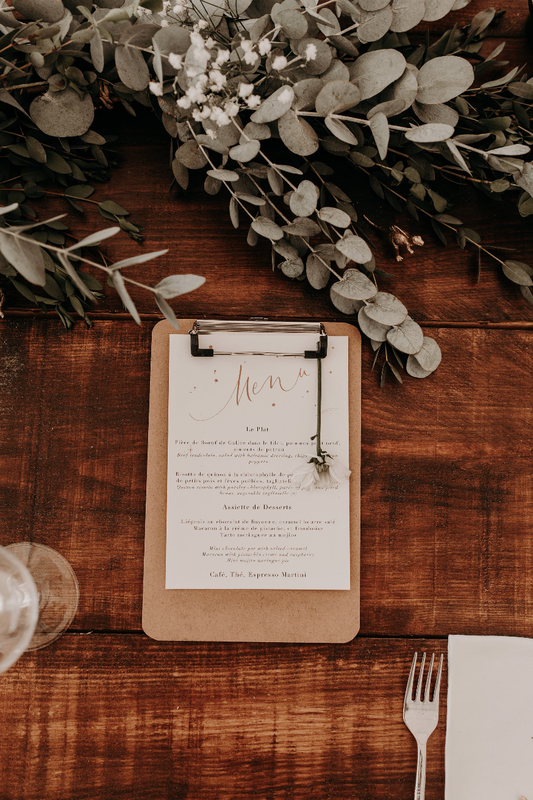 She negotiated the best price, made amazing cost saving recommendations and even made handmade welcome signs and mirrors for us (all of this while planning her own wedding and others!). The week before the wedding, which I'd heard was full of stress and last minute decisions, was spent pottering and adding final bits with Lou and I floated through the wedding day knowing that she had thought of everything. From the amazing nannies to the late night coaches no detail was overlooked. I quite simply don't know how she does it. We had a party of 200, and Lou made it feel like 20 - it was intimate, personal and most importantly, the best day of our lives.